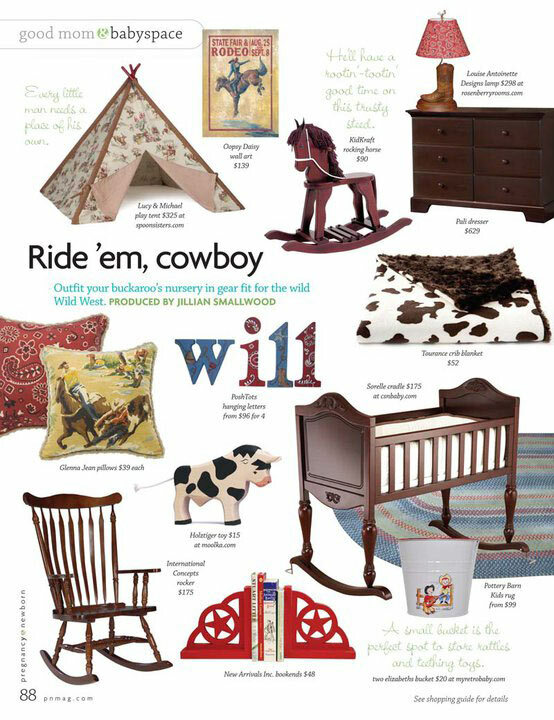 Our Rustic Star in Red Bookends are featured in Pregnancy & Newborn June 2011 issue! What is a cowboy themed nursery without splashes of red stars? So cute! Tons of cute cowboy nursery themed decor!